Atomic 68 made a successful entry into the EWC Dunlop Independent Trophy ranks right after switching to Dunlop tyres. After a crash in the early part of the race, the French privateer team kept pushing hard, never letting up for a moment. Clément Stoll, Guillaume Antiga and Stéphane Egéa rode the Atomic 68 Suzuki to 11th place overall, finishing 2nd in the Superstock class. Atomic 68 pocketed the €4,000 purse awarded to the winner of the EWC Dunlop Independent Trophy at the 8 Hours of Slovakia Ring. Wójcik Racing Team’s Adrian Pasek, Pawel Szkopek and Marek Szkopek, who were practically playing at home in Slovakia, finished 12th, right behind Atomic 68. The Yamaha-mounted Polish team, a full-season contender at the FIM EWC, scored its first points of the season in Slovakia. Their fine performance netted them a €3,000 reward in the EWC Dunlop Independent Trophy. Tati Team Beaujolais Racing once again featured in the EWC Dunlop Independent Trophy Top 3. After launching themselves into the battle for the Superstock win on their Kawaski, Julien Enjolras, Julien Pilot and Kevin Denis ran out of fuel towards the end of the race and dropped back, finishing 16th overall and 5th in the Superstock class. They received €2,700 worth of EWC Dunlop Independent Trophy prize money. 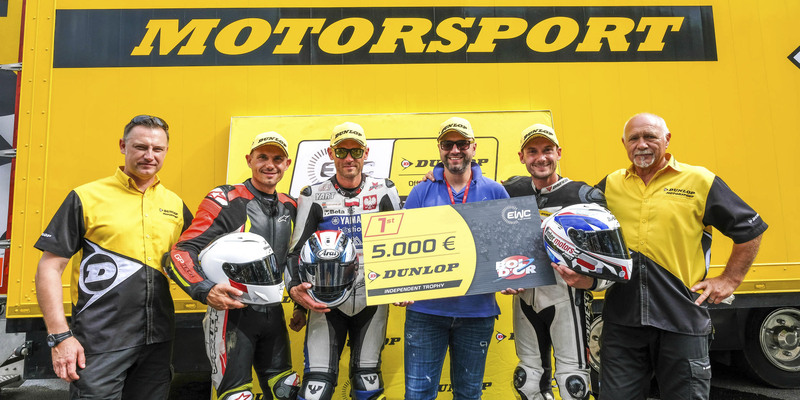 Seven other independent teams using Dunlop tyres received prizes at the 8 Hours of Slovakia Ring, with payouts ranging from €2,300 down to €500 for the team ranked 10th in the EWC Dunlop Independent Trophy. 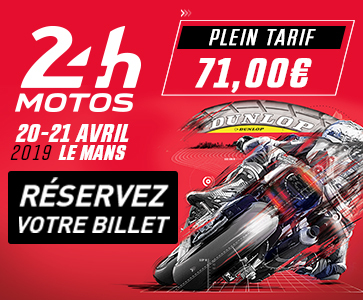 Renewed this season by FIM EWC promoter Eurosport Events, the organizers of individual FIM EWC races, and tyre manufacturer Dunlop, the EWC Dunlop Independent Trophy gives backing to Dunlop-shod private teams that do not benefit from direct support from a constructor.